Following up from last round, Capcom has released more Christmas illustrations of Mega Man 11’s robot masters. 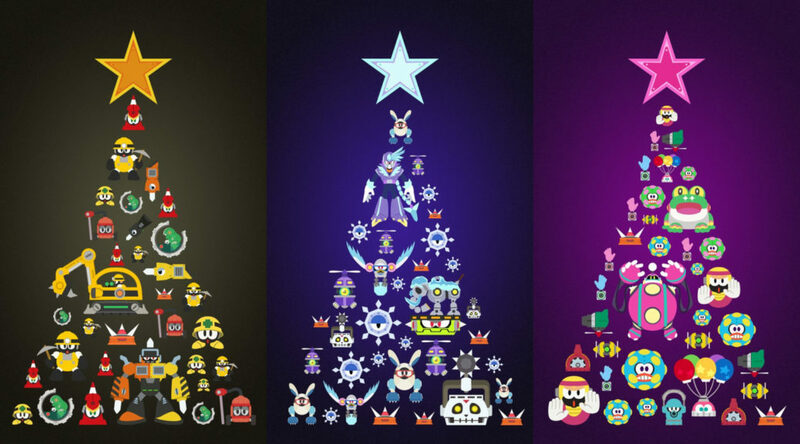 This time, the illustrations feature Impact Man, Tundra Man, and Bounce Man – similarly arranged with their underlings in the shape of a Christmas tree. The previous illustrations depicted Block Man, Acid Man, and Blast man. We can probably expect these series of artworks to cap off with Torch Man and Fuse Man. So stay tuned.